Enjoy the creation of imaginative dishes inspired by the history of Extremadura. We introduce this little know province of Spain through its cuisine, vibrant history, culture and incredibly beautiful landscape. There are three main cooking sessions at the finca, creating food for lunch and dinner, Pippa will prepare wonderful dinners on some evenings. Our cuisine is based on three different cultures, all related to Extremadura. Latin America -Gorgeous recipes and ingredients introduced into Europe by the conquistadors creating a wonderfully imaginative cuisine. Moroccan - Exotic dishes as a celebration of the 600 year old Moorish history of Extremadura. Extremeno - A fusion from many influences, a cuisine which is full of surprises and wonderful ingredients such as the famous Iberic jamon and pork, wild asparagus, local cheese, wines and sumptuous fruit. The Latin American recipes use the ingredients brought back from the New World by the conquistadors; chocolate, peppers,avocados, quinoa, chiles,tomatoes and maize are just a few. What could be more appropriate than to use these foods in Extremadura where they were first introduced to the Old World and particularly Trujillo where many of the most famous conquistadors were raised. They returned from the New World with fabulous wealth to build a perfect renaissance town. 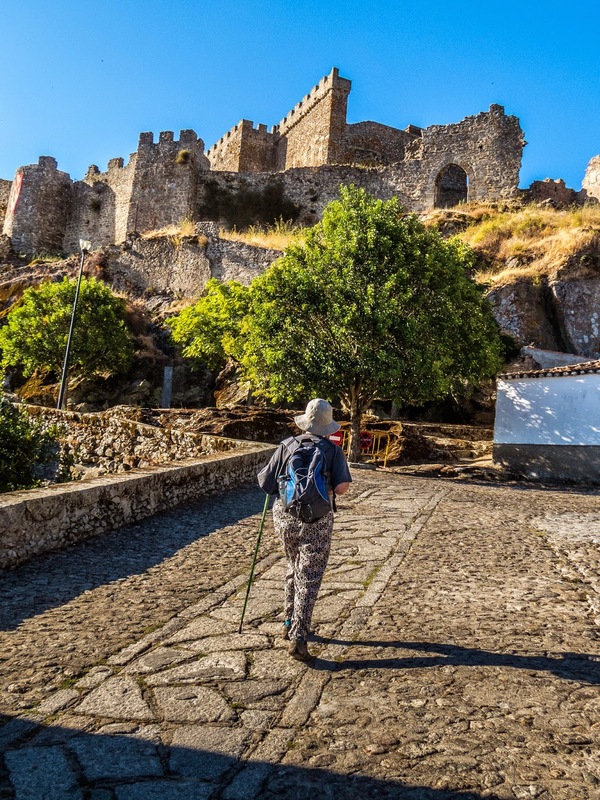 TRUJILLO - Pippa will take you on guided tour of Trujillo, an introduction to your own wanderings through the atmospheric lanes and enjoyment of the vast panoramas from the castle walls. A simple but wonderful pleasure is to enjoy a drink at one of the open air terraces on the plaza, as the sun goes down the ancient buildings glow in a golden light. CACERES - A fascinating UNESCO world heritage town with a medieval centre and renaissance palaces of the conquistador era. 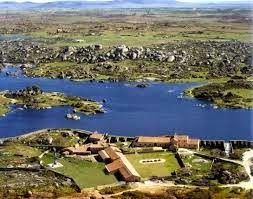 A walk around the nearby Barruecos, an amazing area of huge granite boulders home to a huge stork colony. This area fascinated the Fluxus artist Wolf Vostell, we visit the wonderful 18th century wool washing complex where he made his home and studio in the 1960s, it is now an enthralling permanent collection of his work and other famous Fluxus artists including Yoko Ono, Nam June Paik, George Maciunas, Joseph Beuys etc. MONTANCHEZ- A wonderful opportunity to visit this perfect hilltop village famous for jamon production. We visit local jamoneras and the cork oak forests where the pigs roam freely feasting on acorns. Situated close by is the haunting Visigoth basilica of Santa Lucia, a sacred place since pre-roman times. Naturally we sample the famous jamon for lunch and then take a walk up to the moorish castle with amazing views across Extremadura. Discounts are available if you are able to arrange your own group of 4 -6 friends. Non-cooking partners and friends are welcome, they can arrange cultural tours, single cooking mornings or simply enjoy the wonderful location, food and wine. Please ask for prices. May is late spring time, a wonderful time in Extremadura. June is starting to get hot but better to enjoy the pool and a taste of summer without the intense heat. Autumn starts in late September - October usually delightfully warm and sunny with some rainy days but never continuous. WHAT DOES THE HOLIDAY INCLUDE? Accommodation and breakfast at Finca al-manzil for 7 nights, 3 days with 3-4 hours of cooking tuition. Dinner every evening at the finca. Lunch on 4 days, 3 days of alternative activities and excursions. All ingredients, equipment and pick up/ drop off in Trujillo bus station. Food and beverages and entrance fees whilst on excursions are not included. A deposit of 40% of the total price for all persons to be paid to secure the reservation . The remaining balance to be paid 8 weeks before the date of arrival. Which is reliable and safe method of international payment. Time to get to know your surroundings, meet the other guests and relax after your journey. 10.30 -Introduction to Moroccan cuisine and ingredients. Preparation of a typically Moroccan dinner including tagine, couscous, spicy side dishes, delicate pastries and delicious desserts. 10.30 Depart for guided walk around Trujillo with Pippa, through atmospheric lanes lined with secret gardens, jasmine and orange trees glimpsed over high stone walls, conquistador palacios with exquisite facades and beautiful interiors, sublime churches endowed with impressive works of art. Lunch- In the splendid plaza. Dinner at the finca prepared by Pippa. 10.00 - Departure for Montanchez famous for the production of jamon. Walk around the Moorish castle and visit a typical jamon curing house Lunch in local restaurant to sample some local cuisine. After lunch we visit the dehesa where the iberic black pigs are allowed to roam freely gorging on acorns. A look at the Visigoth basilcia of Santa Lucia which is nearby. 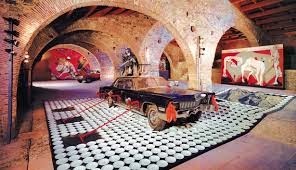 A walk around the Barruecas lake and park with a visit to the quirky Wolf Vostell museum at Malpartida de Caceres. Continue to Caceres for a guided walk within the Moorish walls, through the medieval town visiting the museum and Moorish algibe. 20.30 Dinner prepared by Pippa. Free afternoon for a last walk around Trujillo or just relaxing by the pool. All pictures of your holidays are fabulous. I am really grateful for this valuable post and lovely pics.